The Galaxy S9 and Galaxy S9+ have been on sale for a few weeks now, so attention naturally turns to the next flagship Samsung has in store, the Galaxy Note 9. A few rumors have surfaced surrounding the device already, including the speculation that the device will be released earlier than anticipated. 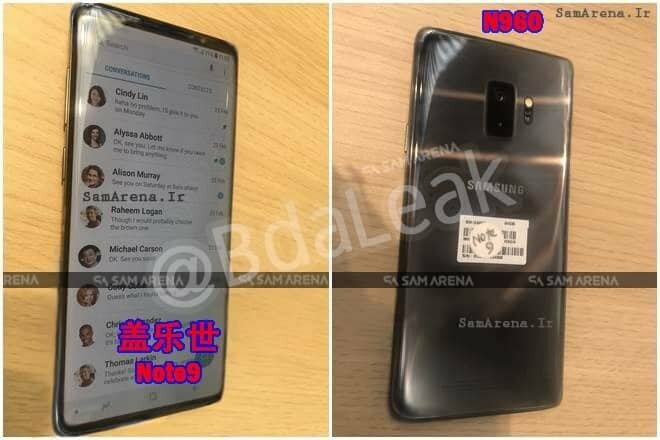 Making the rounds in the news blog sphere are leaked images that claim to be the Galaxy Note 9 and show the distinct lack of a fingerprint sensor on the rear. This led to the conclusion that Samsung has cracked the technology needed to embed a fingerprint sensor under the display. Making a move to an integrated fingerprint sensor has been rumored for some time, and there was speculation it may make an appearance in the Galaxy S9/S9+. Reportedly, Samsung couldn’t perfect the technology in time so pulled the design and opted for the more traditional rear mounted sensor. Seeing the technology being lined up for the Galaxy Note 9 consequently makes total sense, if the images were real. The supposed leaked image of the Galaxy Note 9 you see above is nothing more than a photoshopped Galaxy S9. SamMobile uncovered this by simply doing a reverse Google Image search to find the images were taken from various S9 hands-on articles. Unfortunately, anyone with hopes for an early glimpse at the Galaxy Note 9 will have to wait a little longer. It’s still incredibly early to see any real prototypes at this stage beyond perhaps a few mockups. There is also every chance that Samsung does not have anything special planned for the Note 9 beyond what we saw on the S9 and S9+ and will release an evolutionary update to the Note line rather than revolutionary. As the reported launch date approaches later this year, no doubt more details will leak out and give a better indication as to what to expect from the device. Until then, keep your eyes peeled for the latest updates on the Galaxy Note 9 here at Updato.